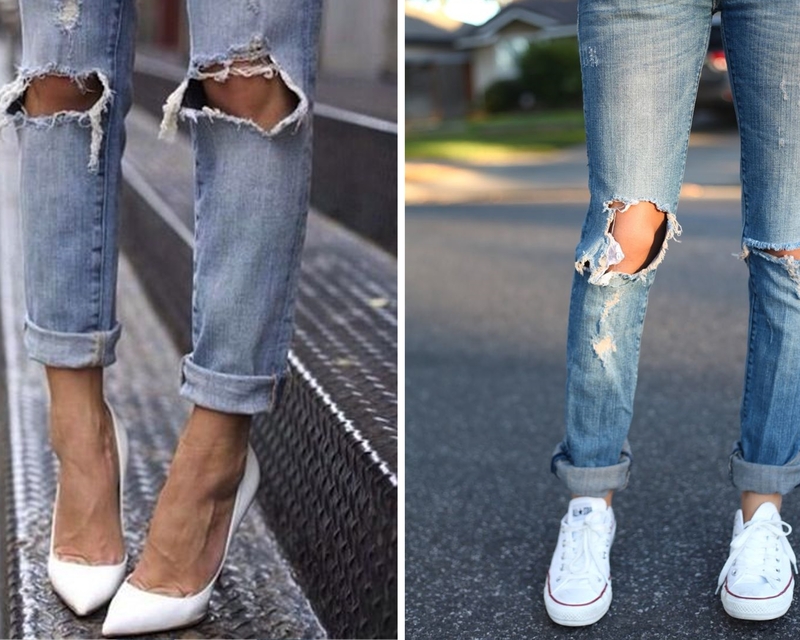 If you are looking for outfit ideas that are totally stylish, yet highly comfortable, the ripped jeans trend might be something for you. 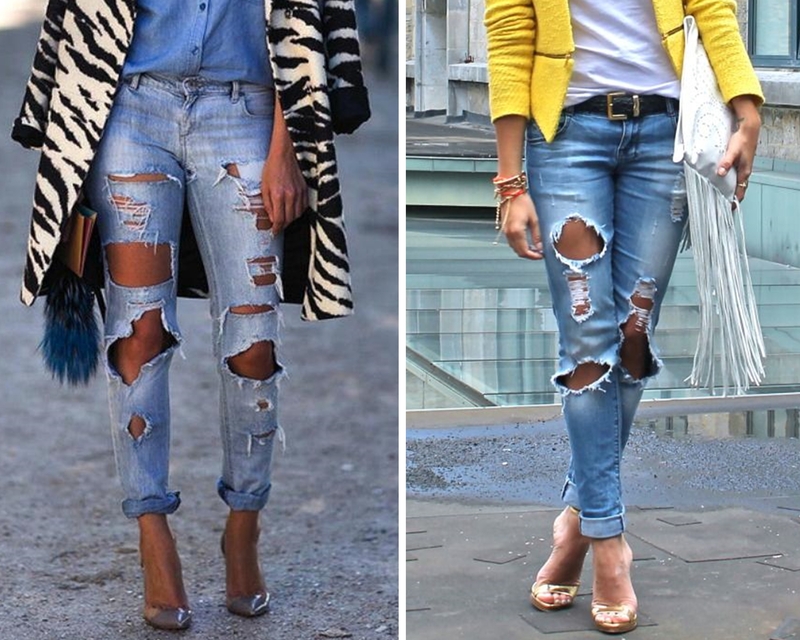 Distressed, perfectly torn denim seems to have turned into a testament of effortless style these days! Even though I am pretty sure I would get in big trouble with my 10 year old daughter, wearing this, I do like the fact that you can make a real fashion statement wearing them. And it’s so easy to either dress them up or dress them down that they make a perfect fashionable basic. Combine your pair of baggy ripped denim with a slightly oversized blouse (or a solid tee) and sneakers for a comfortable casual look. 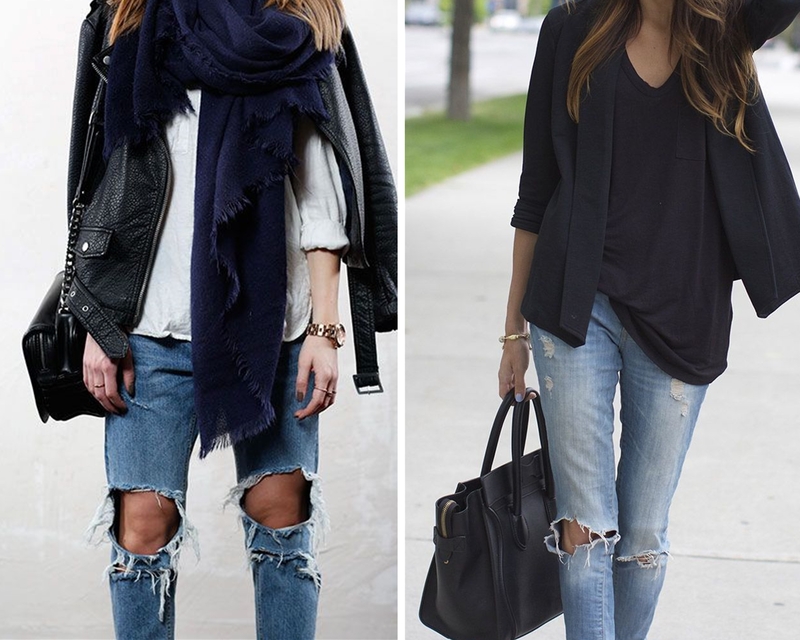 Or wear your torn denim with a sleek blazer, strappy sandals and a classy clutch to dress them up. It’s pretty easy to give these jeans a feminine touch. In my post powder blue color crush you’ll find another great example that works, combined with an oversized coat. I am actually pretty curious what you guys think of this trend! Kan niet wachten om hem bij jou aan te zien, geloof niet dat dit gaat gebeuren, haha! Dikke zoenen!